Illegal Art is a record label pushing the limits of sample-based music since 1998. We are comprised of artists such as Girl Talk, Junk Culture, Touch People, Okapi, People Like Us, The Bran Flakes, Steinksi, and more. Celebrating 10-plus years of sample-obsessed production and relentless touring, Gregg Gillis returns with All Day, his fifth album as Girl Talk, and his most epic, densely layered, and meticulously composed musical statement to date. Continuing the saga from the previously acclaimed albums, Night Ripper and Feed The Animals, Gillis lays down a more diverse range of samples to unfold a larger dynamic between slower transitions and extreme cut-ups. 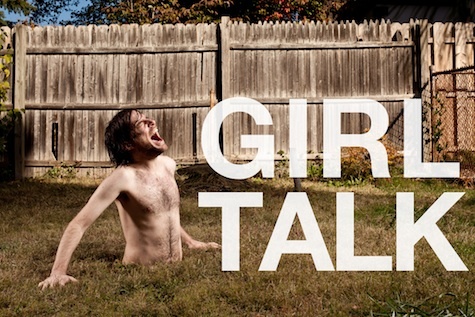 With the grand intent of creating the most insane and complex pop collage album ever heard, large catalogs of both blatantly appropriated melodies and blasts of unrecognizable fragments were assembled for the ultimate Girl Talk record (clocking in at 71 minutes and 372 samples).